After the monstrous success of Deadpool last February, it was no surprise when Deadpool 2 moved forward, with original Deadpool director Tim Miller returning to the helm, and Deadpool writers Rhett Reese and Paul Wernick returning to write the script. Then a bombshell was dropped in October when Tim Miller unexpected dropped out of the project, citing creative differences, with the director now discussing his exit in a new interview. Here's what the director had to say, revealing that leaving the Deadpool sequel quickly lead to his new gig as the director of an upcoming Terminator franchise sequel. "I mean, I wanted to make Deadpool 2. I was going to do that, until I wasn't. So, there was that, which took up about seven months of my time. But even then, David [Ellison, who has the rights to the Terminator franchise] and I were talking, like after Deadpool 2, it was going to be this [Terminator]." There had been rumors that the director and producer/star Ryan Reynolds disagreed on Cable casting, with the director reportedly favoring Kyle Chandler for the role, but Ryan Reynolds reportedly wanted someone older than the 52-year-old actor, to fall in line more with the character from the comics. Ironically, the Cable role ended up going to Josh Brolin, who, at 49 years of age, was even younger than Kyle Chandler. 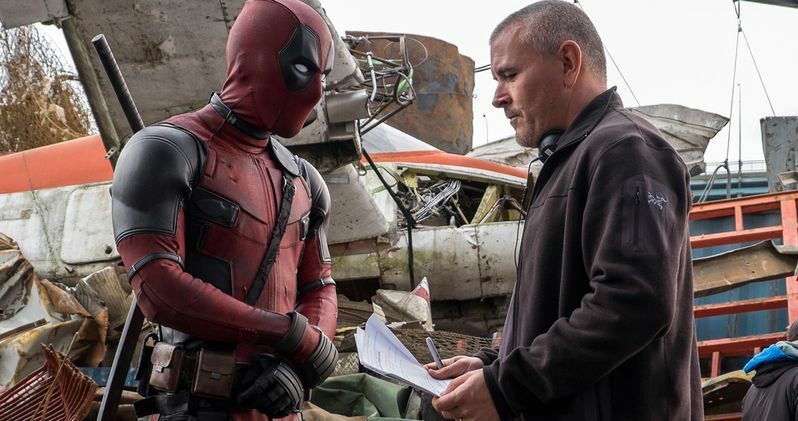 Throughout it all, though, Tim Miller seemingly doesn't hold any ill will against the filmmakers and producers, revealing in his interview with The Hollywood Reporter that he's happy more Deadpool stories are being told, while he was also relieved since his departure meant he could do something new. "I felt like there was more stories (for Deadpool) to tell there, but I'm happy that somebody else is telling them. There was a sense of relief in that I get to do something new versus Deadpool 2. I think it would've been a great movie, but it was also going to be a continuation of what we had done. This really gave me a chance to do something new." Earlier this month, Deadpool 2 wrapped production, giving the filmmakers roughly nine months of post-production before the June 1, 2018 release date. New Mutants also wrapped on the same day, but that project has a much tighter post-production schedule, since it's slated to hit theaters on April 13, 2018. Production is still under way on what will be the third X-Men movie of 2018, X-Men: Dark Phoenix, which is slated for release on November 2, 2018.